Bee-bot is a game that you can control. This bee bot game is a great way to engage your children! Follow the instructions and see if your children are right in their guesses! The Bee-Bot App is developed using the well-known design and program features of the Bee-Bot. The app makes use of Bee-Bot’s keypad functionality and enables children to improve their skills in directional language and programming through sequences of forwards, backwards left and right. Bee Bot’s simple and child friendly layout is a perfect starting point for teaching control, games, directional language and programming to young children. Sumdog – is a maths website/app which allows children to create a character/house and earn points to spend by answering maths questions. Every pupil has been given a login and password. Children can access it from home. There is also a lunchtime Sumdog Club run by Mrs Purdom for P4-7. Meerkat Maths – is a maths app which allows children to race other characters and to win the race you have to answer maths questions. This helps children to practice their addition, subtraction, multiplication and division. A.L.E.X – is an excellent app for teaching basic coding and programming. It has excellent graphics which appeals to students on many levels. Topmarks – Topmarks is a website where your child can learn by playing fun, simple Math games. We recommend the game ‘Hit The Button’ that can help children learn their number bonds and times tables. The game has helped a lot of children in our school. Toca Boca – In the nursery we are using Toca Boca kitchen. Toca Boca captures the power of play. It creates digital toys and every day products that are filled with fun and silliness that kids from every corner of the world can instantly relate to. Everything is designed from their perspective. Book Creator is a fun app that can let you create your own books and comics. We have been using it to demonstrate what we have learnt in class, for example, P6 used it to display what they had learn about Estate Agents for their Social Studies topic. Epic – Epic is an app which you can read any type of book, for example, chapter books, picture books and many more. You can also listen to your favourite audio books. 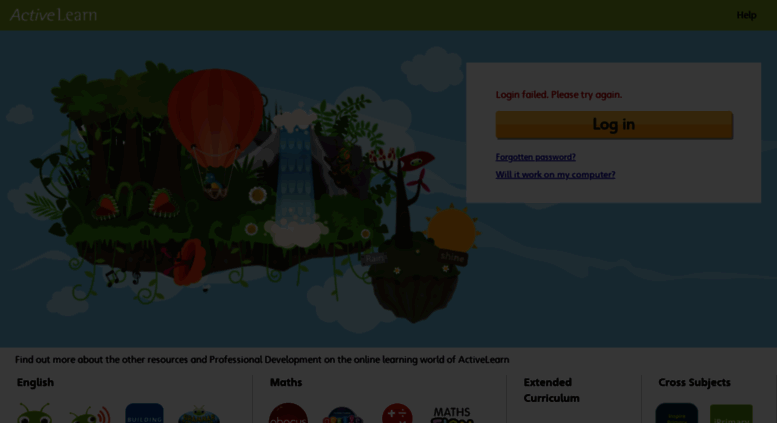 ActiveLearnPrimary is a game that your child can practice their Maths and Numeracy skills on. Your child will receive games from their teacher related to their learning in class. They can get Maths games in their ‘My Stuff’ folder. Your child can also collect coins and buy stuff for their tree house in the game.